Owners of older diesel cars in German cities where the air is particularly polluted should be able to choose between trade-in incentives and a hardware retrofit, coalition parties have agreed, a paper seen by Reuters on Tuesday showed. After marathon talks into the night, Chancellor Angela Merkel and leaders of her coalition partners announced in the early hours that they had agreed on a way to cut pollution in cities while avoiding unpopular driving bans. Initially there were no details of the deal but the document said German carmakers had agreed to offer an exchange program with attractive trade-in incentives or discounts for owners of diesel vehicles of the Euro 4 and Euro 5 emissions standard. If owners of a Euro 5 model wanted a hardware retrofit with a so-called selective catalytic reduction (SCR) system and if this was available and appropriate, the German government expects the carmakers to shoulder the costs for this, the document said. On delivery vehicles and trade vans, the government would subsidize hardware retrofits with SCR systems by up to 80 percent, the document said. There are 3.1 million diesel cars running to the Euro 4 standard, and 5.7 million Euro 5 diesels, out of a total of 46.5 million cars on the roads in Germany, according to official figures. On Monday, conservative Transport Minister Andreas Scheuer said German automakers were willing to bear most of the cost of upgrading old diesel cars to reduce air pollution in German cities, but he provided few details. Volkswagen, Germany's largest automaker, has agreed to cover 2,400 euros ($2,780) of the estimated 3,000-euro cost of hardware retrofits on its diesel cars, Scheuer said on a live video chat on Instagram. "Now we have to discuss in the coalition how we handle the gap of 600 euros," he added. Scheuer has sided with automakers in calling for incentives for owners of older vehicles to trade them in for newer models. Svenja Schulze, a Social Democrat (SPD), favors hardware retrofits that are unpopular with automakers. A statement after the talks tersely promised a "concept for clean air in our cities," while an unexpected pledge to build more wind and solar energy plants hinted at the horse-trading that took place as the three awkward partners struggled to unite around a common position. The past few weeks have seen support slide to all-time lows for both Chancellor Angela Merkel's conservative CDU party and its SPD partners, as her government fought over everything from diesel to immigration and the threat of far-right violence. 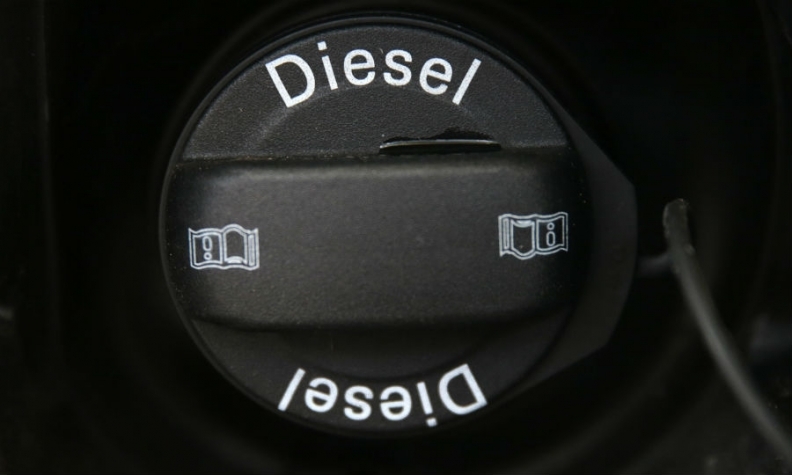 The diesel compromise is likely to feature both trade-in incentives and retrofits. Scheuer said VW was willing to offer trade-in deals worth up to 8,000 euros, BMW 6,000 euros and Daimler up to 5,000 euros, as well as leasing options. One complaint of German automakers is that foreign rivals would not be covered by any requirement for retrofits. Volvo of Sweden said it was not working on any such upgrades, but is looking at incentives to encourage customers to trade in diesels for newer, cleaner cars. That option is also being considered by several other foreign automakers, said Reinhard Zirpel, head of the VDIK car importers' association. "We have legal, technical and business reservations about hardware upgrades," he told the Tagesspiegel daily. Scheuer also said his Christian Social Union (CSU), the Bavarian sister party to Merkel's CDU -- did not want diesel drivers to face any additional expense. The SPD's Schulze said a deal must include hardware upgrades and that the entire cost should be borne by the industry: "The car industry caused the problem, and now they have to fix it," she told SWR Radio in an interview. VW Group's admission in 2015 that it cheated U.S. diesel emissions tests led to the discovery that diesel vehicles from several manufacturers routinely exceed pollution limits in normal driving conditions, prompting a regulatory crackdown. At the same time, the German courts have paved the way for city driving bans to tackle levels of nitrogen oxide that exceed European safety levels. The first, in Frankfurt, the country's financial capital, is due to take effect in February. VW doubts that hardware retrofits on older diesels are technically feasible and is only willing to foot the bill if it does not have to bear liability for any engine damage that may result, a company source said. That should not be an obstacle to a solution, according to suppliers of catalytic converters -- devices that can be installed in cars to convert harmful exhaust pollutants into less harmful gases.